Naipaul, born in Trinidad, evokes the atmosphere of the post-colonial island in this comic, brilliant novel, inspired by the author's father. We watch Mr Biswas through all his struggles and successes, find his own particular kind of independence. This is a lovely book, heart-felt and masterful. "The very day the house was bought they began to see flaws in it. The staircase was dangerous; the upper floor sagged; there was no back door; most of the windows didn't close; one door could not open; the celotex panels under the eaves had fallen out and left gaps between which bats could enter the attic. They discussed these things as calmly as they could and took care not to express their disappointment openly. And it was astonishing how quickly this disappointment had faded, how quickly they had accommodated themselves to every peculiarity and awkwardness of the house. And once that had happened their eyes ceased to be critical, and the house became simply their house." 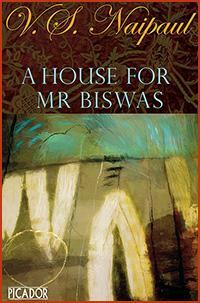 – A House for Mr Biswas, Penguin, 1969 edition. 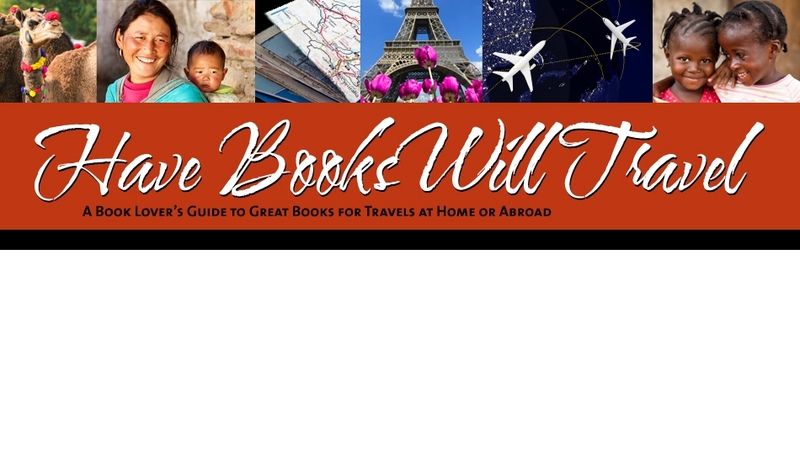 Although I realize few people visit Haiti, it is a fascinating and complex place to read about. William Orem has written a compelling collection of short stories set in Haiti, a beautiful and unnerving country. Many threads weave throughout these stories: Vodou and Catholicism, faith and loss of faith, hopelessness and courage. This is a powerful and unforgettable portrait of Haiti in the times before the overthrow of Duvalier. Orem is a playwright, poet and novelist who is gaining well-deserved recognition for his fine writing. As a disclaimer, this book is one published by the small company I once owned. "After the rain the rivers broke into twos and threes, creating smaller paths that flowed in expanding and unblocked courses along the edges of rice fields and cracked-looking sugarcane fields and across the visible root systems of banyan trees. By evening the water would have dissipated entirely, having been transformed into the full, almost palpable sheets of mist that hung like spirits over the land, drawn out by the unceasing pulse-heat of the sun. But for an hour it came down unimpeded from the scarred hills and across what had been dirt walkways, bringing small drifts of pebble and dead wood; and the loosened earth colored the spilled water a deep rust-crimson so that it was impossible to see it and not think of blood." 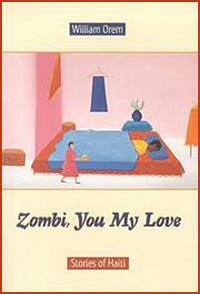 – Zombi, You My Love, La Questa Press, 1999 edition. 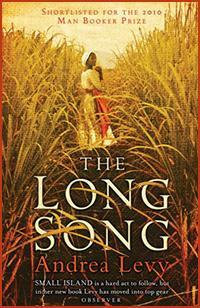 The Long Song is a very intelligent and readable historical novel that relates the events in Jamaica before and during the slave revolt in 1893. The main character is a house slave, July, who tells the story of the horrors of slavery and racism, yet tells it with sympathy and sometimes humor. Much of the history of the 19th century in Jamaica is recreated for us in this accomplished book. "The book you are now holding within your hand was born of a craving. My mama had a story – a story that lay so far within her breast that she felt impelled, by some force which was mightier than her own will, to relay this tale to me, her son. Her intention was that, once knowing the tale, I would then, at some other date, convey its narrative to my own daughters. And so it would go on. The fable would never be lost and, in its several recitals, might gain a majesty to rival the legends told whilst pointing at the portraits or busts in any fancy great house upon this island of Jamaica." – The Long Song, Farrar, Straus and Giroux, 2010 edition. Set in the Dominican Republic during the Trujillo dictatorship Alvarez's novel blends fact and fiction to create a sensitive narrative of courage amid oppression. We follow the story of the "Butterflies", four sisters based on the true story of the Mirabal sisters (well known in the Dominican Republic). With perfect control and authenticity Alvarez presents each sister as a separate and unique person. The horrors of the Trujillo regime are documented and we learn a great deal about this small part of the world. "She remembers a clear moonlit night before the future began. They are sitting in the cool darkness under the anacahuita tree in the front yard, in the rockers, telling stories, drinking guanábana juice. Good for the nerves, Mamá always says. … They're all there, Mamá, Papá, Patria-Minerava-Dedé. Bang-bang-bang, their father likes to joke, aiming a finger pistol at each one, as if he were shooting them. Three girls, each born within a year of the other! And then, nine years later, Maria Teresa, his final desperate attempt at a boy misfiring." 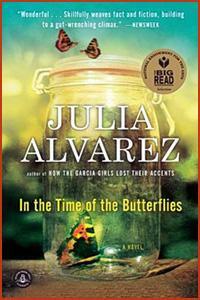 – In the Time of the Butterflies, Algonquin books, 2010 edition. Edwidge Danticat is an author not to be missed. Each of her books is beautifully and poetically written, no matter the subject. In this novel, a young Haitian woman, Amabelle, is a servant to the wife of a military man in the Dominican Republic. For those who do not know the history of these two countries, this book will be a shocking reminder of the tragedies that occur in places not so far away from "developed countries". Haiti, after the recent earthquake, has been much in the news. The struggles of the Haitian people seem never-ending. This novel will bring the reader up close to the sadness, pain and also the resolve of the people in these hardscrabble countries. "Sebastien – who is from the north of Haiti like I am, though we did not know each other when we lived there – feels haunted by the crooning of pigeons. Their cry, he says, sounds like it's not meant for others to hear, but like each howling pigeon is trying to bury its head deep inside itself. He imagines that the way pigeons moan is the same way ghosts cry when they are too lonely or too sad, when they have been dead so long that they have forgotten how to speak their own names." – The Farming of Bones, Penguin Books, 1999 edition. If you are looking for a story that proceeds in a straightforward narrative line, this is not it. However, if you want to immerse yourself in the lush tropical atmosphere of these hot, wet and windy islands, here is a wonderful choice. Be prepared for gems of writing: poetic, mythic and wise. I stopped almost every page to reread passages and think about them. Also be prepared for sadness and pain, tempered with amazing joy and hope. 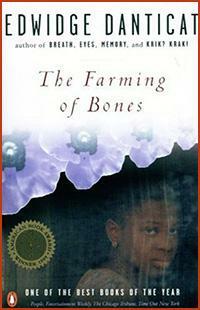 Be sure to read Jamaica Kincaid’s introduction. 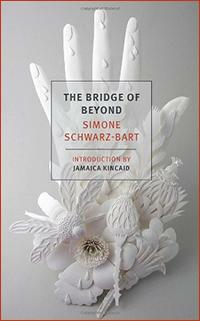 “In The Bridge of Beyond, Schwarz-Bart’s lyrical, incantatory words create a lush, nuanced world that exists between dream and memory.” – Jamaica Kincaid, from the Introduction. “A man’s country may be cramped or vast according to the size of his heart. I’ve never found my country too small, though that isn’t to say my heart is great. And if I could choose, it’s here in Guadeloupe that I’d be born again, suffer and die. Yet not long back my ancestors were slaves on this volcanic, hurricane-swept, mosquito-ridden, nasty-minded island. But I didn’t come into the world to weigh the world’s woe. I prefer to dream, on and on, standing in my garden, just like any other old woman of my age, till death comes and takes me as I dream, me and all my joy.” – – New York Review Books Classics, 2013 edition. One of the characters in this spellbinding novel says: “Look, this isn’t magic realism. This is not another story about superstitious island people and their primitive beliefs. No. You don’t get off that easy. 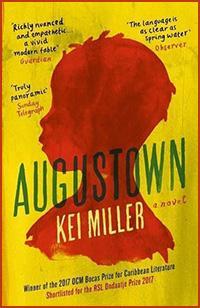 This is a story about people as real as you are, and as real as I once was before I became a bodiless thing floating up here in the sky.” Great characters abound in this novel about a town in Jamaica that resembles the real August Town near Kingston. There is a flying preacher, Rastafarians, British colonials, and many more, my favorite being Ma Taffy. The story takes place on just one day in 1982, but the history of what happens that day is richly filled in for the reader. This novel is a world unto itself and I recommend you enter it. “First you must imagine the sky, blue and cloudless if that helps, or else the luminously black spread of night. Next – and this is the important bit – you must imagine yourself inside it. Inside the sky, floating beside me. Below us, the green and blue disc of the earth. Now focusx…xDown there is the Caribbean, though not the bits you might have seen in a pretty little brochure. We are beyond the aquamarine waters, with their slow manatees and graceful sea turtles, and beyond the beaches littered with sweet almonds. We have gone inland. Down there is a dismal little valley on a dismal little island. Notice the hills, how one of them carries on its face a scar – a section where bulldozers and tractors have sunk their rusty talons into its cheeks, scraped away the brush and the trees and left behind a white crater of marlx…xSeen from up here, the ramshackle valley looks like a pot of cornmeal porridge, rusting tin roofs stirred into its hot, bubbling vortex.” Augustown, Penguin Random House, 2016 edition.